Plumpy’nut Is Not Food; Also Not Death | Andrea Works . . .
More than a decade ago, a European researcher noticed how darn tasty and fattening Nutella was, and realized that with a little tinkering, something like it could be created for famine sufferers in Africa, who needed something to get them through to better days. He used a bit of creativity and technology to create a super food. This “super food” has a two year shelf life and contains protein, carbohydrates and some fat as well as a bunch of added vitamins. As a category, this kind of food is known as a RUTF: Ready to Use Therapeutic Food. Manufacturer: Nutriset, in France. 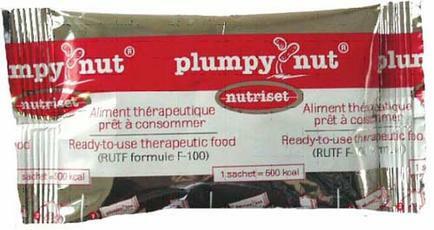 Plumpy’Nut was Invented in 1999 and recently more visible with articles by well known folks like Dr. Sanjay Gupta (“The Funny Sounding Nut Paste That’s Saving Children’s Lives in Somalia“) and websites as big as Huffington Post (“Just How Much Can This Peanut Paste Reduce Hunger?”). I do disagree somewhat with Dr. Gupta’s assertion that the ingredients of Plumpy, as it’s called locally, are “nearly the perfect ingredients for the starving human body . . .”; I could come up with a better formula in a heartbeat with slight change in cost. The New York Times is similarly cautious about the future of peanut paste supplementation due to some (seemingly petty given the cause) patent and copyright concerns. Campaigns also exist to raise awareness like The Plumpy’Nut Challenge by the British charity Merlin, which asks otherwise well-off westerners to eat nothing but Plumpy’Nut for one day while Tweeting about their experience and pledging money for charity. Not a bad idea, and ONE DAY is easy. Really, really easy – despite what most participants say. A week or a month would be harder, but no one would sign up for that. Shockingly the success rate for this one day challenge is not 100%. People are wussies, but I digress. For those kids that consume Plumpy’Nut as a means to NOT DIE, the situation is different, obviously. Later, when death is no longer a threat, one hopes – one REALLY hopes – that a return to traditional foods is the final step. This is a topic I will continue in another blog post – how vastly different a grain-based traditional African diet is from the grain-based stuff that is eaten every day by Westerners. 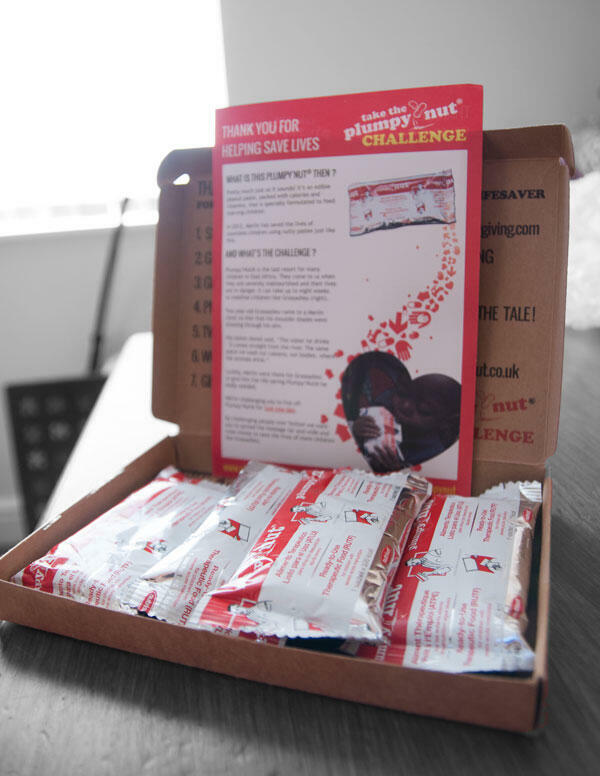 Stay tuned, and don’t worry about the stress of signing up for the Plumpy’nut Challenge – there isn’t another one until 2014.